We at Phoenix Model Aviation Ltd are delighted to champion such remarkable and innovative models, upgrades and tools. We are pleased to offer the full range of RJX Hobby products for sale to our customers. Please call or email us with your requirements. RJX Hobby is a company of impeccable heritage, with the German engineer Mr. Frank Scheneckenburger as President, he is also responsible for both design and quality control of their line up of products which are manufactured in China. They produce not only some of the highest quality models with many innovative design features at incredibly competitive prices (X-Treme 50 & 90) but they also offer a range of quality upgrades for other leading brand models and also a wide selection of good quality tools and accessories. 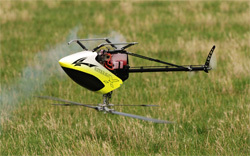 RJX Hobby realised early on that a model helicopter’s excellence is not just measured by how well it flies. Durability, ease of assembly, repair and maintenance are equally important ingredients. It was with this philosophy in mind that RJX Hobby came out with the successful and highly respected Hurrican 50. This was later complimented by an all new design X-Treme 50, following which saw the launch of the stable mate X-Treme 90. ·	2 Piece slim frame Design. ·Fully Programable Head offers 256 combinations to tune in to your flying style. ·	Open style CNC metal tail case allowing easy maintenance. ·	Tailblade grips feature Radial bearings. ·	Carbon Fiber Tail push rod/ CF boom supports. ·	Front mounted Tail servo/ correct CG. ·	Features very low parts count. ·	Carbon Fiber / G-10 Frames. 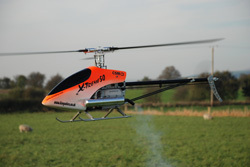 ·	Clever design makes the Xtreme the lightest 50 class helicopter in the world. ·	New Helical Conversion - CNC cut 85T Derelin main gear and new clutchbell with matching 10T helical pinion. ·	New Stainless linkage set. ·	New CNC machined Derelin tail pushrod guides. ·	New CNC machined main grip pitch control arms. ·	New Bell crank support spindles. ·	New CNC machined and PTFE Bushed washout base. ·	New Tail pushrod chrome ball end supports. ·	New Main shaft locking collar - Split ring type. ·	New Stainless screw and ball pack. ·	New Canopy thumb screws. The X-Treme 90 is the industry changing 90 size helicopter, designed to handle the extreme pressures of the latest crack 3D flying style. Do not be fooled by the exceptional price, the X-Treme 90 is a fully specified and intelligently designed helicopter, suitable for advanced 3D flight. Easy to maintain, a very high CG and all servos are built inside the frame for safety in case of a crash. A flybar-less system is also available for the X-Treme 90. ·	Complete CNC Machined Helicopter. No Cast parts! · Fully Programable Head offers 256 combinations to tune in to your flying style. ·	Clever design makes the Xtreme the lightest 90 class helicopter in the world.